If you think that thieves have even a slight bit of honor, the new game from Zepto Lab will prove you wrong. 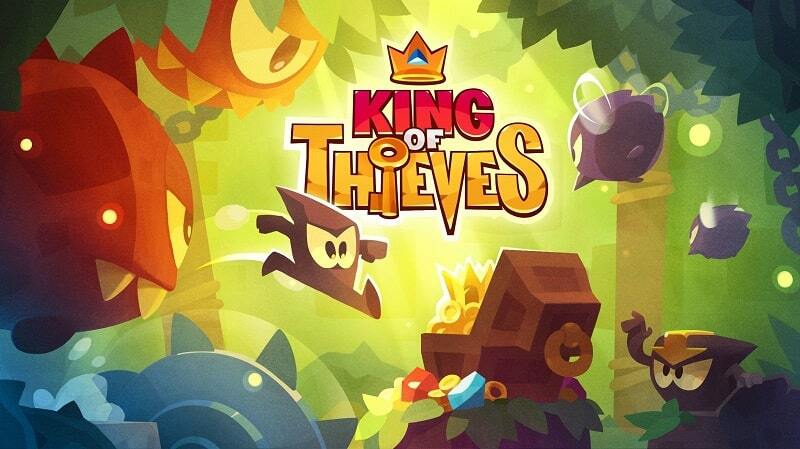 King of Thieves is a platform game which sends you into the world full of thieves that are as cut-throat as they can be. And your only goal in this cruel world is to steal as much gold as possible. Seems pretty straightforward, right ? King of Thieves is a true refreshment after all these games that copy their rivals and don’t bring anything new for us, gamers. But, even this game isn’t perfect, there is one thing that it’s holding her down. That thing is the annoying energy system that doesn’t let us enjoy the game as much as we could. But I guess that’s the curse of the free to play games, there’s always that one thing standing in the way to the perfection. You will start the game as a really small black blob with an impressive set of parkour skills. Which is good, because later on, you will find those skills extremely helpful when you’re required to steal other people’s stuff. Each player will start the game with the certain amount of gold that’s stored in the base. As the time goes by, you will use that same gold for the security upgrades. Also, at the beginning of the game, you will receive a certain amount of gem and every gem has its own value. The more gems you have the higher your ranking on the leaderboard will be. Although you can’t “carry” as many gems as you would have wanted because the storage is limited, there is a way of keeping your rank on the leaderboard. You can do that by doubling the gem’s value, which is good, but it has some negative sides too. The whole doubling process takes a while and also, you will be vulnerable to the enemy’s attack. So if you don’t want to risk losing your gem collection. And don’t kid yourself, that happens more often that you would have imagined. You put some traps and you think that you’re safe, but suddenly, someone sneaks and dodges your traps and you somehow lose everything you have had. You will feel particularly sad when you find out that you have lost 400 points worth gem and that you’re on the last place on the leaderboard. That’s why, if you are kind of person who is obsessed with his rank, you will be spending a lot of time playing this game. Especially when you consider the fact that you can get even with the person who robbed you. But even if you don’t care that much about your place on the leaderboard, it’s still kind of annoying to see that you aren’t as good as you thought you were. 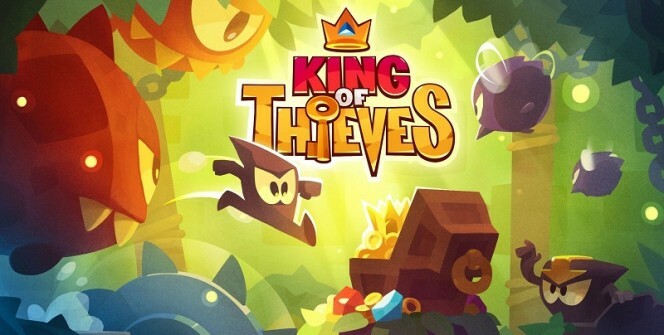 You can play King of Thieves if you have a device with iOS, Android or Windows. Sometimes when playing King of Thieves, bluestacks ask you fee to pay but gives you option to download some apps. Every time it asks you just select “Install apps” and continue using it free. I hope you enjoyed this guide, please rate and share. 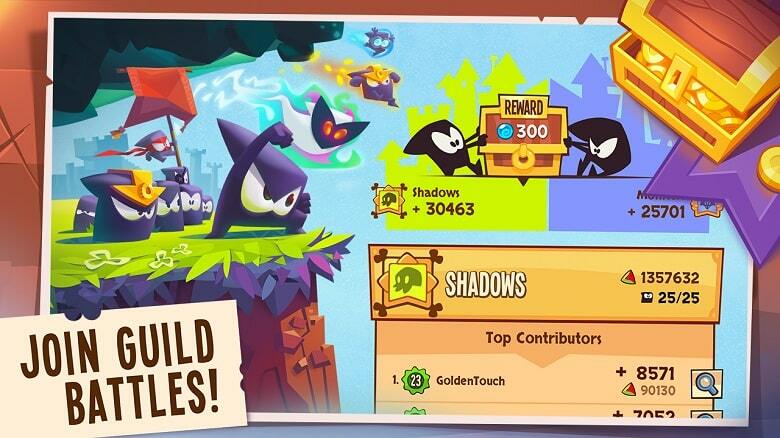 If you have problems running King of Thieves on desktop or any other issues, leave a comment below.